Had a doggie play date this morning. 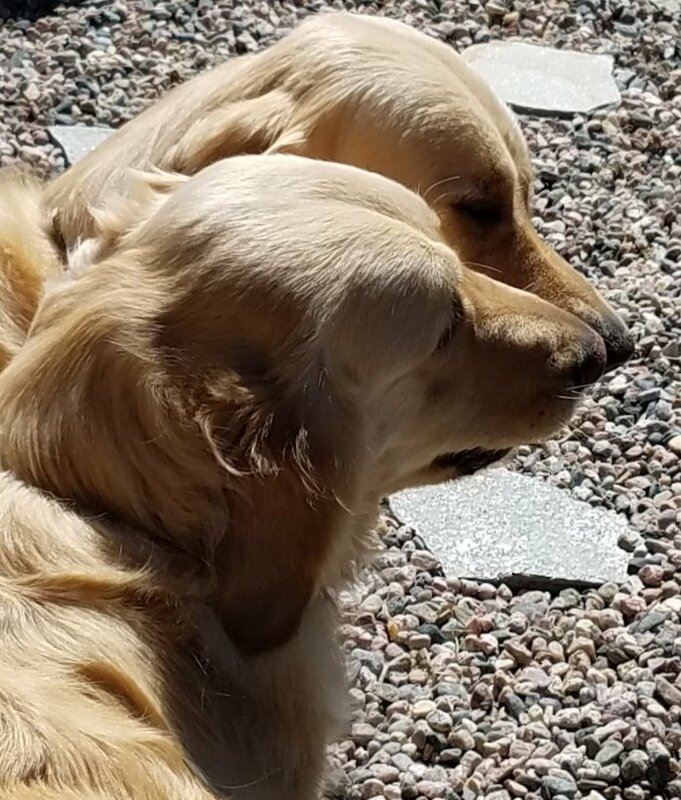 This is Dutch and his brother Sunny. They had a crazy good time with each other and the four other dogs! Katy made me do it! Tags golden, dogs, retriever, dutch, hair! wow! almost a mirror image shot! This is terrific. I love your title too!